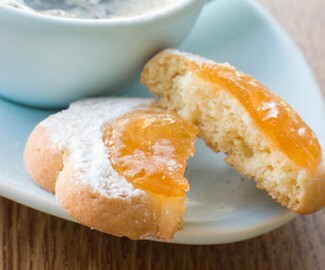 Each of these small batch microwave jam combinations makes just two cups of jam. That’s enough to make two one cup jars – one to keep for yourself, and one homemade gift in a jar! These fruit and jam mixtures cook up quickly in the microwave, putting to rest any fear of stirring hot jam for hours in a large cauldron over the stove. If you store the small jars in the fridge or freezer, you can also skip hot pack processing and all that jazz. This way is easy and you’ll love the results. One caveat – this method is definitely best for small batches, so do not double the recipes; for larger batch jam cooking times, consult a reputable microwave cookbook, or the cookbook that came with your microwave. Follow the basic directions for Small Batch Microwave Jam using your choice of the fruit and flavor combinations listed below. When preparing ingredients for these recipes, make sure that you have a generously packed measure of the base fruit. I made one batch starting with a scant three cups of raspberries, figuring that would make two cups mashed. I didn’t measure the mashed fruit and, when the jam boiled down, it didn’t yield quite enough to make two full one-cup jars of jam, which was disappointing. Prepare the fruit and place in an 8 cup glass measure with a spout (or a 2½ to 3 quart casserole dish). Stir in sugar and let stand until juices form – about thirty minutes. Microwave on High for 10-14 minutes, stirring every 2-3 minutes. Spoon out 1 tbsp. of jam, refrigerate for 15 minutes and test consistency. If you like thicker jam, re-heat to boiling then microwave for 2 more minutes. Makes 2 cups. These jams will keep for several months in the fridge; freeze for longer storage. Use any small, clean jam jars with tight-fitting lids. For pantry storage, use 2 one-cup canning jars. Scald jar lids and bands for 5 minutes, and keep lids in scalding water until ready to use. Sterilize the jars by boiling for 15 minutes; fill immediately with hot jam, leaving ¼ inch of head space. 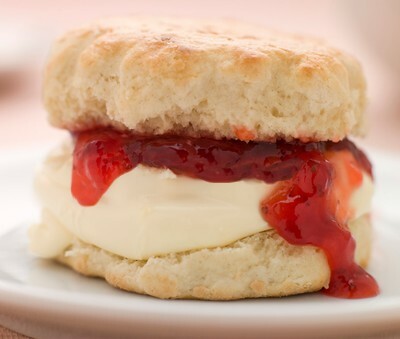 Pour jam into hot jars, skim off foam and add more jam, if needed, to maintain ¼ inch headspace. Label jars, decorate lids as desired, and store. Remove pits from 1lb of apricots and chop to make 2 cups. Add 1 tbsps lemon juice. Remove pits from 3/4lb apricots and chop to make 1-1/2 cups. Combine with 1/2 cup crushed pineapple and 1 tbsp. lemon juice. 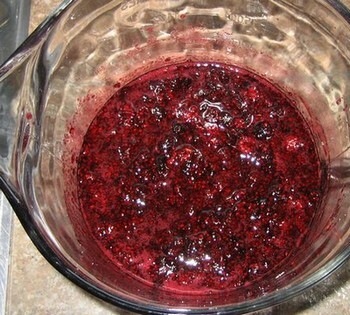 Crush 3 cups of raspberries or blackberries or a combination of both, to make 2 full cups, and add 1 tbsp lemon juice. Crush 3-1/2cups of strawberries to make 2 cups. Add 1-1/2tbsps lemon juice. Remove pits from fruit, peel and chop to make 2 cups. Add 1 tbsp. lemon juice.